Carry your essentials--and a powerful message-- in style with this handmade wallet. 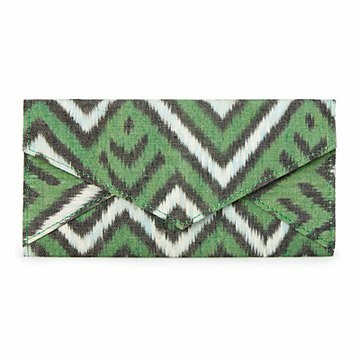 Made from hand-woven materials, this sleek wallet brings a pop of color to your ensemble. A classic envelope silhouette, magnetic closure, and card slots make for timeless style, while the while the makers' stories provide a deep impact. Each item is made by survivors and women at risk of human trafficking in Cambodia, and proceeds help to fiscally empower these women. Designed in New York, made in Cambodia.